Tata Tigor has not met the kind of success, its hatchback variant Tiago has met. Tata Tiago and Tigor, are basically the same cars. One is hatchback, where other is a sedan. Same styling, same features, same engines, same platforms, everything same. But in spite of that, sales are not same. Where Tiago has managed to become one of the top 10 selling cars in the country, Tigor is battling low sales. 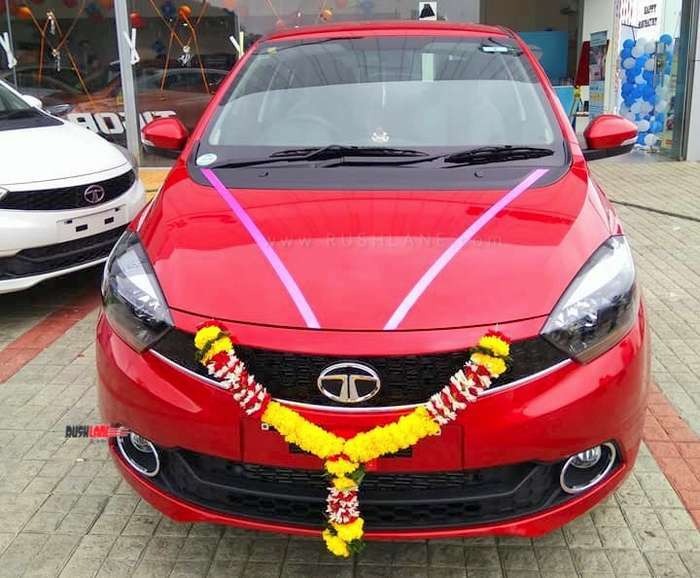 In order to push sales of Tigor, Tata Motors has announced huge discount offers. Sales of the Tata Tigor have been below expectations since launch. In Jan 2019, sales of Tigor stood at 2,361 units while in Feb 2019, sales stood at 1,259 units. This when compared to same period last year, is a decline of 26% and 56% respectively. Total sales have declined 40%. 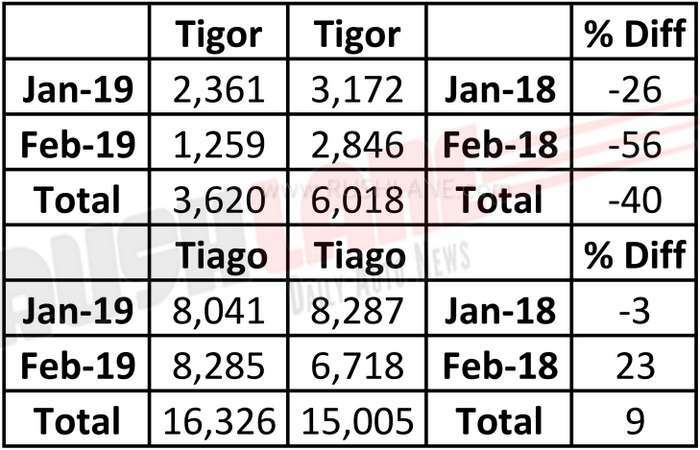 Sales in Feb 2019, are among the lowest ever reported by Tigor. In comparison, Tiago sales have grown in 2019 by 9%, reaching a total of 16,326 units. The Tigor sedan faces competition from Maruti DZire, which is the best selling car in the segment at 17k monthly average sales. Another car Tigor has to compete with, is Honda Amaze, which has been seeing good sales consistently (7k monthly avg sales). The Tigor also competes with the Ford Aspire, Hyundai Xcent and VW Ameo. The discount scheme through March could bring in better sales for Tigor. Apart from this, Tata has also given Tigor a facelift recently. Tata Tigor facelift comes with a few cosmetic updates and new features to enhance its appeal. It now sports a new diamond shaped front grille, dual projector headlamps, crystal inspired LED tail lamps and LED high mounted stop lamp positioned on its rear windshield. The new Tigor also sits on new 15” dual tone alloy wheels for a more premium appeal. Interior updates include new leather upholstery and added safety features such as reverse parking camera, dual airbags, seat belt reminder and ABS and EBD. The top of the line Tigor XZ+ variant gets a new 7” infotainment system from Harman with Android Auto and video playback. Tata Tigor is offered in petrol and diesel engine options. The 1.2 liter Revotron petrol engine offers 84 bhp power and 115 Nm torque while the 1.05 liter Revotorq diesel engine offers 69 bhp power and 140 Nm torque. The petrol engine gets mated to an AMT option while the diesel engine gets a 5 speed manual transmission. Price ranges from Rs 5.5 lakhs to Rs 7.6 lakhs.